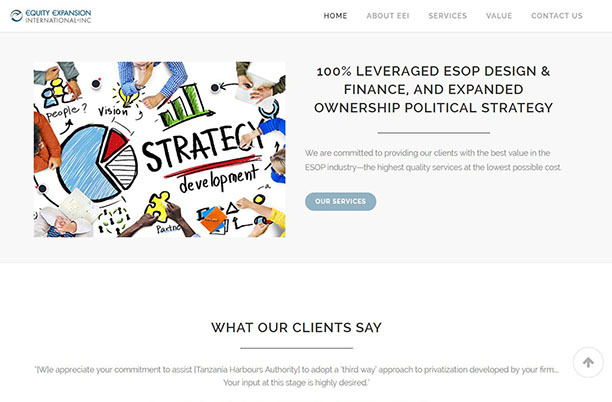 3PRIME recently completed work for Equity Expansion International (EEI), a financial firm. The investment and banking experts at EEI have many years of experience with administrative, financial, legal, communication and financial elements of ESOP. They help clients to expand their ownership for countries and enterprises. They help client businesses to expand by sharing the benefits of growth with their employees. 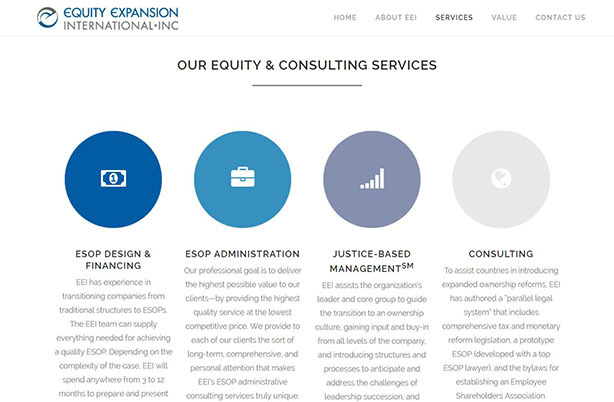 Equity Expansion International is a consulting firm that specializes in representing the 99 percent of the population. 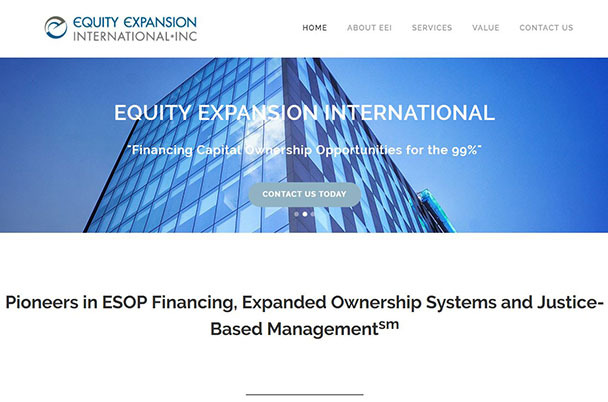 With uniquely experienced and professional consultants, EEI helps to raise equity for the non-rich, so they can start generating money on their ownership of capital in addition to their income. Through creating ESOPs (employee stock ownership plans) as well as helping administer them, EEI has earned its place among the pioneers of the financial world. Converted a single page static HTML website into a multi-page responsive wordpress website. Sourced stock photos to improve website aesthetics. Built custom layouts for individual pages.